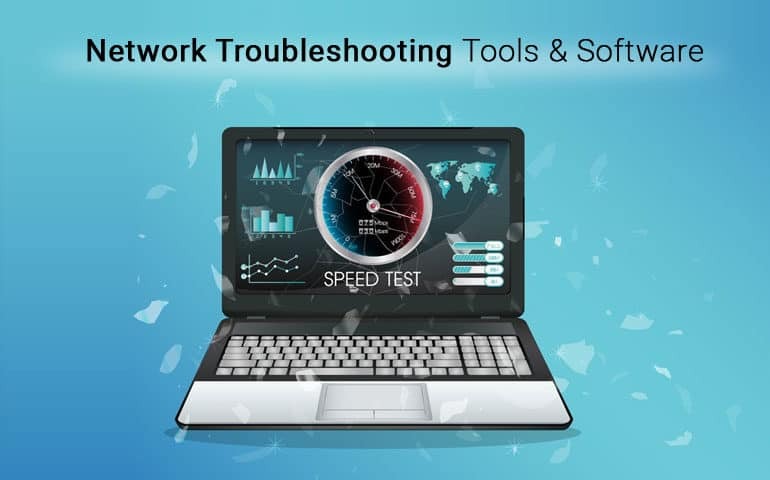 10 Best Network Troubleshooting Tools & Software for Free Diagnostics! Everyone that works in IT has their own personal preferences when it comes to using network troubleshooting tools, but there are some fundamental ones that should be in everybody’s toolbox. These include some of the classic executables such as ping and tracert that would sometimes ship with your favorite operating system. You might have a third-party application that will do similar things to the applications in our list, and that’s fine. There is nothing wrong with having your own personal preference for applications. Our hope is that you will see something on our list of handy utilities and then try it for yourself, giving you a new application to try out for yourself. Note: These Tools listed below are used for basic troubleshooting tasks – There are more advanced tools that can help with troubleshooting more complex issues including Packet Sniffers, Advanced Traceroute Alternatives and Response Time Analyzers! Ping is arguably one of the most well known and most used commands that system admins a have at their disposal. It is a connectivity application that lets computer operators test if they have a network connection to a remote system, and whether or not it is responding. It uses ICMP packets to communicate and receives the same packets back in response. It is this response that alerts the user to whether or not the remote system is responding. This is a very handy troubleshooting tool because you can ping any device that uses an IP address or host-name. The utility comes with almost all operating systems and can be used to ping any other device that uses TCP/IP. Tracert is a utility that is similar toping but shows much more detailed information about the route that your data takes on its journey to the target that you are testing. The internet was designed with redundancy in mind, which means that TCP/IP packets will take the shortest route possible. If you have network problems like failed connections or high latency, then tracert will give you detailed information about each router that it passes through on its way. This will let you know which locations are making your connection fail or perform poorly, so you can identify where the issue is. 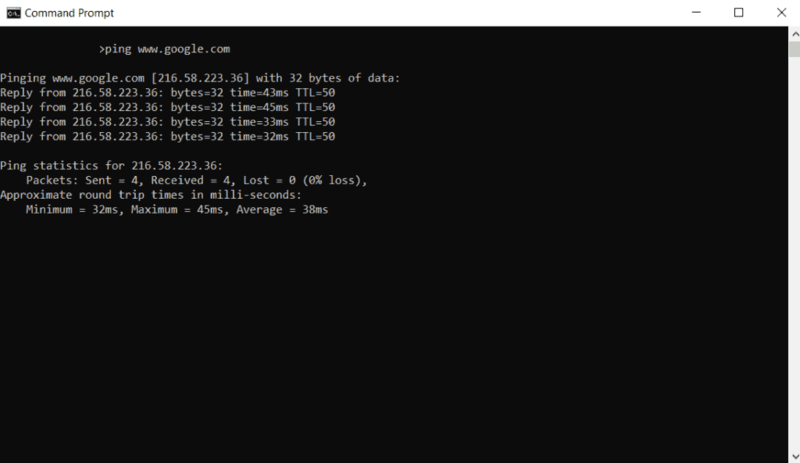 This is an excellent tool for finding points of failure on our network as well, especially if your traffic has to pass through more than one router on its journey to the destination IP address or website. If you use a Windows computer, then you can use ipconfig as a way to look at your network adapter’s current configuration. You can use ipconfig /all to show you all of the details of your current IP address setup or you can just run ipconfig and you will receive a simpler output of your local settings. If you are using a Linux or Unix Operating system then you can use ifconfig instead, although it has different parameters to achieve the same goal. This is a quick alternative to digging around in your operating system’s GUI settings to find your network configuration, and can make the process of checking your IP address a much more simple task by simply typing this command. Below is the result from typing ipconfig at the command prompt in Windows 10. 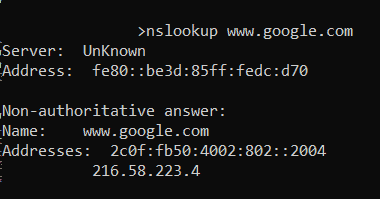 If you want to find out about DNS issues on the network, then nslookup will help you to find out what is going on further down the line on your network. DNS takes an IP address and resolves it against a website name, making it easy for people to navigate the internet as they do not need to remember any IP addresses. If the system stops working then when you enter website into your internet browser then it will not resolve to the IP address and you will not connect to the website. Nslookup is the tool that will help you to check if this relationship is currently working properly and is a good way to diagnose any issues. If you can’t resolve the address, then you are probably looking at annslookup issue. 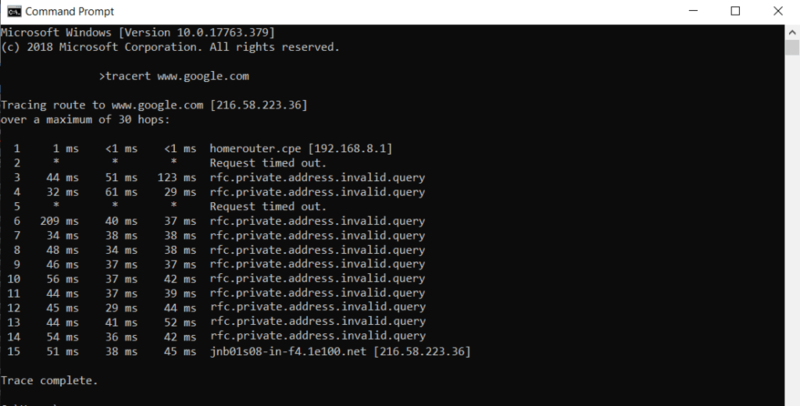 You can also query a DNS server to check if you have any connection specific issues with your computer, making this an especially useful tool. Netstat helps you to figure out the current state of your network connection. More importantly, it also tells you what is happening with the current state of connections that have been made with the computer. It shows all of the currently active ports that are listening to your session, which can alert you to any suspicious activities.It will also show you how the different services interact with the open ports on the system, so if you have a program or application that is not working properly then you can take a look and find out exactly what is causing the issue. Putty is a multipurpose application that lets you connect to various devices such as routers, switches and serial controllers. It also has TCP/IP capabilities and allows you to log onto Linux and Unix devices too, making this a must have tool for anyone that needs to connect to various devices at different times throughout the course of their working day. It is like a multi tool that allows you to perform multiple functions at any time when you really need to connect to a device that you otherwise could not. It is an excellent replacement for hyper terminal which is no longer included in Windows operating systems. 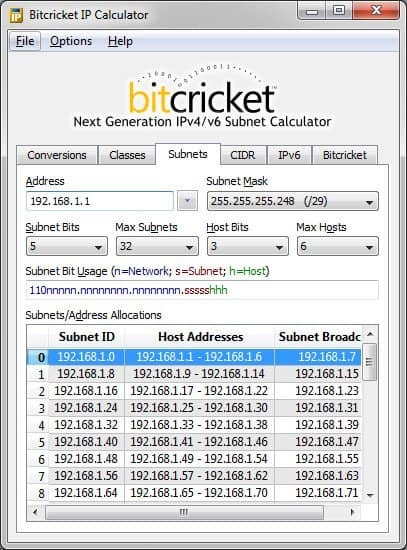 Most information technology and networking professionals only ever use subnet calculations for exams and projects. If you are a planner for a network rollout then you might need to use such a program quite often, and to do this you could rely on your own mathematical skills, sure. However it is much more simple to use a program that works all of these things out for you instead. If you want to download these apps then you can find the links to the download pages of each of these below. How fast is your internet? If you are not sure then you probably want to work that out to ensure that however much you are paying for your connection that you are getting your money’s worth. Websites such as speedtest,net or even pingtest.net. These are applications that establish a connection and then measure how long a file takes to download and upload. It also measures the latency of the connection, which shows how long it takes for the connection to be established between your computer and the speedtest application on the website that you are connecting to. There are standalone applications that offer similar functionality but speetest.net is the easiest way to give your internet connection a proper test. Pathping/mtr is a combination of ping and tracert, making it much easier for network professionals to run simultaneous tests to that they can establish the condition of a connection. This can really help save time if you need to perform simultaneous operations from the command line. Pathping also has additional functions that you wont find with standard versions of ping so this is definitely an application that will save you time if you are running it from the command line. Route is used as an effective and simple tool that provides the current state of networking routing for your connection and shows what is available on your connection. It is yet another valuable tool that you can use as a troubleshooting and diagnostic tool and it can give you valuable insights into the current routing information that your computer has stored. It lists all of your current network adapters and will show you which ones are active. Troubleshooting network problems can be a real challenge if you do not have the right tools to help you find out what is going on within your environment. If this guide has shown anything then it is that you can get by with a lot of free help from these tools as they either ship with the operating system or they are free to download and use. We hope that this information has been useful, and that you can apply some of these techniques and use some of these tools whenever you need to find out exactly what is going on within the network.